Recent industry studies show that rechargeable batteries and rechargeable hearing aids are among the top features sought by hearing aid users. ZPower, the world’s only developer of rechargeable, silver-zinc miniature batteries, will feature its Rechargeable System for Hearing Aids at the American Hearing Aid Association (AHAA) 2016 Annual Convention, which takes place February 10–13 in Las Vegas, Nev. The convention will focus on the strategies that will help audiology practices succeed and be competitive. This year’s theme is, “Don’t be limited by your challenges; challenge your limits!” ZPower will exhibit in booth #38. Recent industry studies show that rechargeable batteries and rechargeable hearing aids are among the top features sought by hearing aid users. ZPower took this information and reacted accordingly. The ZPower Rechargeable System for Hearing Aids offers consumers the ability to make new or existing hearing aids rechargeable. This innovative new product earned ZPower a 2016 CES® Innovation Award for outstanding design and engineering in consumer electronics. The move toward wireless technology in hearing aids, while beneficial to hearing aid users in most respects, also has a downside: The wireless technology simply drains batteries quickly. While disposable batteries used to last a week or two, now they might only last a couple of days at most. The result is not only frequent and inconvenient battery changing, but also batteries dying at inopportune moments. It’s an environmental issue as well. Hearing aid users typically go through about 100 batteries per year. Since the batteries are not recyclable, that adds up to 1.5 million hearing aid batteries going into landfills each year in the U.S. But now, the ZPower Rechargeable System is changing the game for hearing aid users and their hearing care professionals. ZPower batteries offer a reliable full-day charge, and patients need only return once a year to their hearing care professional to have the battery replaced, which means the hearing aid user doesn’t have to fumble with batteries ever again. In addition, the old battery is fully recyclable, which means fewer batteries going into landfills. Sara Sable-Antry, vice president of sales and marketing for ZPower, will present on the topic of “Rechargeable Batteries – An Advanced, Green Power Solution for Hearing Aids” on Wednesday, February 10, from 3:00 p.m. to 4:30 p.m. This session will allow attendees to explore the results of research on multiple brands of hearing aids using the ZPower Rechargeable System for Hearing Aids, the process to retrofit new and existing hearing aids, and the advantages of rechargeable batteries. The value proposition for patients and audiologists is a battery that is good for a year, lasts all day on a single charge and is recyclable. To learn more about the ZPower Rechargeable System for Hearing Aids, visit http://www.zpowerbattery.com or visit the ZPower AHAA exhibit booth #38. ZPower is a leader in the development of rechargeable, silver-zinc batteries for miniature battery applications whose headquarters and manufacturing facility is in Camarillo, Calif. The company provides a total solution for hearing instrument manufacturers which includes advanced silver-zinc battery technology and charger design support. 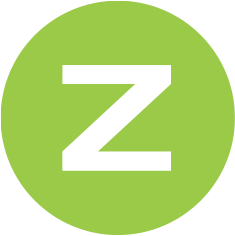 The ZPower solution simplifies new product development and speeds time-to-market. For end users, ZPower batteries deliver unmatched performance, improved user experience and are better for the environment. ZPower is ISO 9001:2008 certified and its facility and devices registered with the FDA. For more information, visit http://www.zpowerbattery.com.